This rainy season, get inspired by the monsoon motifs and wear them on your hands and feet to welcome nature’s shower in the most glorious way! Monsoon is right here. Beautiful breeze, pouring rain, scented air, everything looks so beautiful! Some of you might be getting married too. Besides, around this time of the year, a lot of us also celebrate Eid. So, all the more reasons to find out what kind of mehandi designs are going to look apt during monsoon. Definitely, patterns and styles inspired by monsoon motifs? Perhaps, a dancing peacock? Or the exotic landscapes? Green meadows, or designs that depict colorful rainbow maybe? I love peacock feathers, so that’s my all-time favorite mehandi design. To celebrate the rainy season, Zuri brings to you 18 gorgeous Pakistani mehandi designs that are inspired by monsoon motifs. In short, take a look at patterns and designs that draw their inspiration from everything that appears at the time of monsoon.. rainbow, dancing peacock, green leaves twisting and turning on a branch of tree, umbrella elephant (Yes! We mean quirky designs too). These mehandi designs are easy, festive, intricate and beautiful. So, whether you are the bride of this season or celebrating Eid, we have got something for each one of you. And, why Pakistani form of mehandi designs? Well, because no other style can do justice to the artistic and cultural symbols associated with rains. Pakistani mehandi is defined by bold, dark outlines done with black henna and the rest of the design gradually progresses towards Indian and Arabic style. 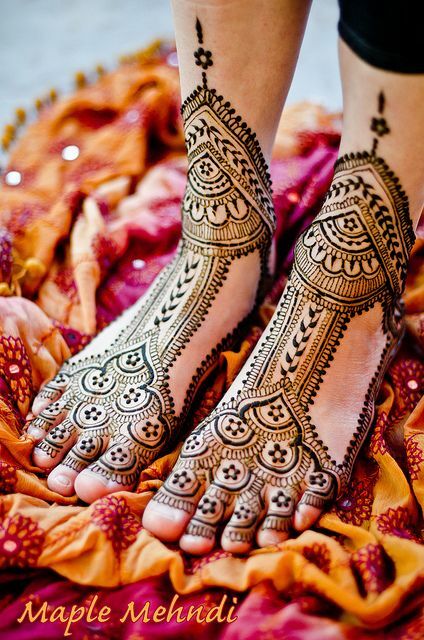 So, all in all, a perfect blend of Arabic and Indian mehandi style. 1. The main motif (could be a peacock or a big circle) drawn right at the center of the hand. 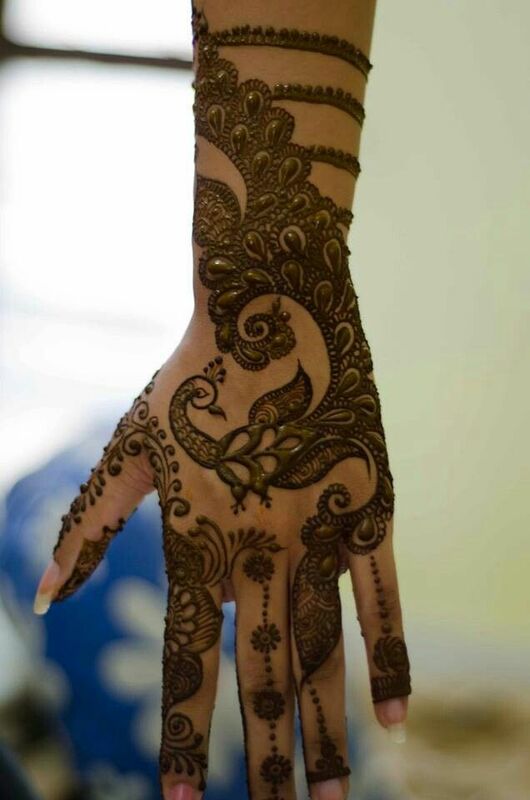 Cover the finger tips with thick henna. 2. A single floral strand or a peacock feather stretches from one side of the palm towards the index finger. This design is also suitable for any occasion and any age group. 3. More intricate full-hand design. Opt for a dancing peacock or two peacocks looking at each other, geometric shapes, lotus petals, umbrella elephant or/and fish scales. 4. Minimalist design using glitter gel, sparkles, crystals and other embellishments to make it look as vibrant as the rainbow. Aren’t these designs stunning? This monsoon, let the rain inspire you.